I quite like Nike+ when I first use it couple of years back. It was easy, just grab your shoes with the sensor inside and iPod Touch, hit the road and run. The Nike+ site wasn’t that impressive then it was slow and best illustration of why Mr Jobs didn’t like Flash. A while ago after Nike+ launched the Nike+ GPS app for iPhone I thought their site will be rewritten to run on HTML 5 soon, they haven’t yet for some reasons! As Tim Cook of Apple sits on Nike’s Board they must have a plan right? As a user I want to see my charts, graphs, stats, splits …. 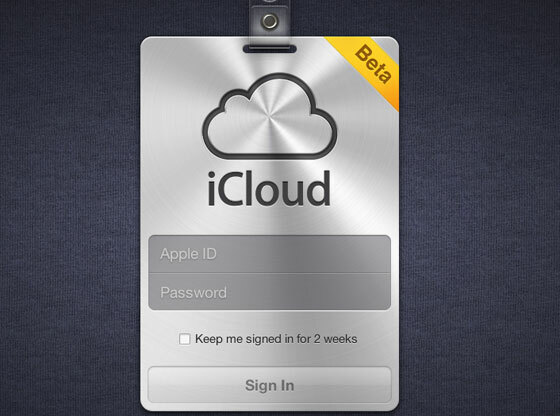 I want everything in my most expensive Apple gadget I paid for. I later turned to iPhone app such as RunKeeper and recently a even better app iSmoothRun which allows me to own my data in my hand. I’m still a Nike+ user but I didn’t get this email. 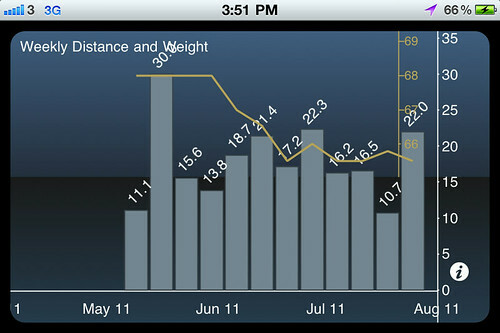 I started using miCoach pacer a year ago. It looks like I need new excitement every year, iPod Nike+ gadget combination came March 2009. With the GPS feature on most smartphone everyone in the market rushed to do an app for your workouts. Nike got one which I tested, I was very disappointed. There must have been updates on the app since last October but I have not yet tried it again. My new toy Garmin arrived last December so miCoach pacer retired. 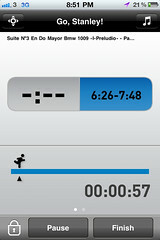 I haven’t really tested miCoach app for iPhone it’s now at version 1.0.15 so yesterday morning I gave it a go. First of all I linked the app with my miCoach account at their website. After that there isn’t much setting to do at the phone. At first use the app fetches data for your “working out history” and “achievement” etc. It tracks what shoes you are wearing for your runs a feature that both Nike+ and RunKeeper Pro don’t have at the moment. Other features are pretty standard stuff such as audio cues (select what to hear such as time/distance/calories/pace/target pace) and heart rate/pace based training. Since there is no HRM compatible with this app yet so heart rate based coaching is meaningless. Its mapping is on par with RunKeeper Pro in terms of accuracy and usability. It’s better than Garmin as it’s Google map not Bing. The social feature needs improvement. The app doesn’t let you share your run to Facebook or Twitter from your phone, you got to do it by logging into the miCoach website. miCoach doesn’t automatically post any stats of your run to facebook as well, you’ll see just a thumbnail of your run chart (heart rate or pace), so your friends have to do one more click to see details in a broswer (2nd image below). It seems that you can’t share the route yet. 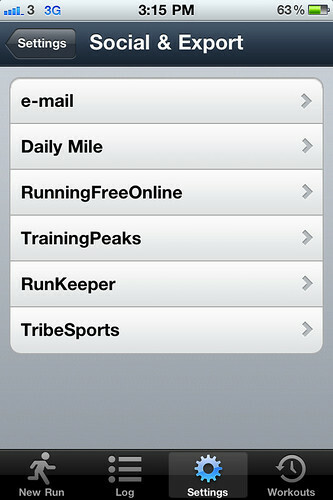 For social features RunKeeper is a lot better. One design differentiates miCoach app from RunKeeper Pro, in my view, is that GPS doesn’t automatically turn on when the app is activated. Once you have selected which favorite workout you want to do, click Next, then it starts searching for GPS signal. You’ll hear positive feedback “GPS is found” at the “Ready, Set, Go” screen then you can tap “Start workout” to start your run. Tap the icon on the left top corner you’ll see where you are on the go, that icon is a bit small to me. Icon on the top right hand corner is your music control. I didn’t use RunKeeper Pro yesterday morning so I imported Garmin GPX file into RunKeeper Pro, now I have heart rate curve as well. 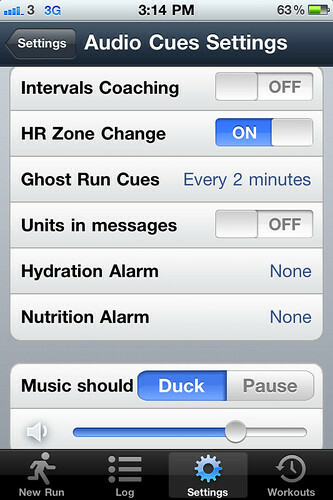 Will I use miCoach GPS app to run, of course, as it’s easy to set up interval training like below. 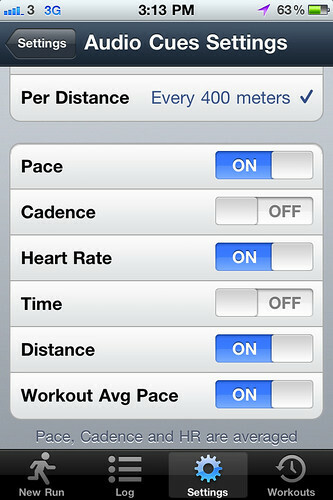 At the moment both Nike+ or RunKeeper Pro can’t do this yet. I need the audio cues to tell me when to speed up. Garmin 410 couldn’t do this, my music will not let me hear the beep anyway, I also doubt if I will upgrade to latest model 610 which has vibrating alert. I won’t consider unless Garmin goes back to Google map.